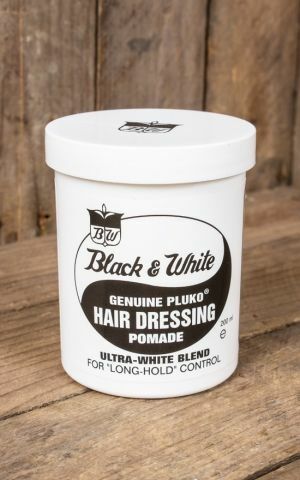 Black & White Pomade undeniably belongs to the great hair styling products of their kind. Since 1922, this Memphis pomade is being used to shape and style hair, and not just by us mere mortals. The list of prominent fans of Black & White pomade is very long; from 50s rockabilly starts to contemporary Hollywood celebrities. Over the years this pomade has never lost its appeal and is still going strong today. 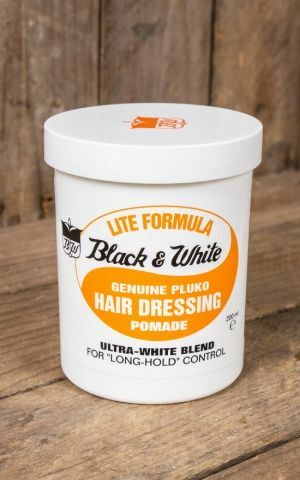 If you want to achieve a modern hairstyle for unruly hair, then Black & White Light pomade is just the ticket. To achieve an extra portion of rockabilly and 50s flair choose Black & White Dress instead. Especially for hair grease novices, Black & White is the perfect choice ? starting with the simplistic but impactful vintage design of the Black & White tubs and continuing with their light and subtle scents. 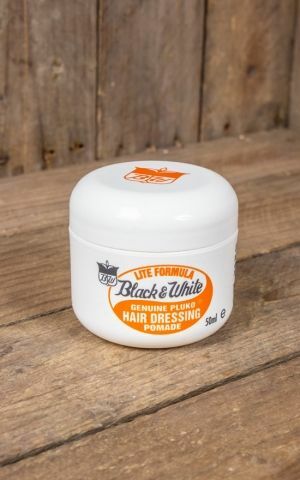 Black & White pomade smells of the lightness of the rockabilly being; it is dead easy to work into your hair, nurtures and gives you the perfect quiff. Just add a great Rumble59 vintage style outfit and you are ready to dare every challenge.